Grown in the village of Turckheim, Pinot Gris vineyards are at higher altitudes with very little top soil, resulting in a great structure. 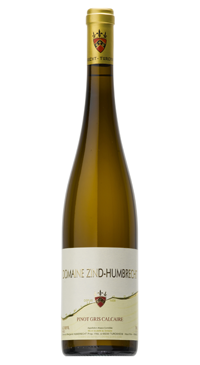 Zind-Humbrecht’s dedication to terroir expression guides all winemaking practices, which include extended pressing cycles, abbreviated clarification cycles (to retain natural yeasts and proteins in the must), natural malolactic fermentation and extended aging on the lees. The wine is aged 18 months in 40-year-old French barrels.